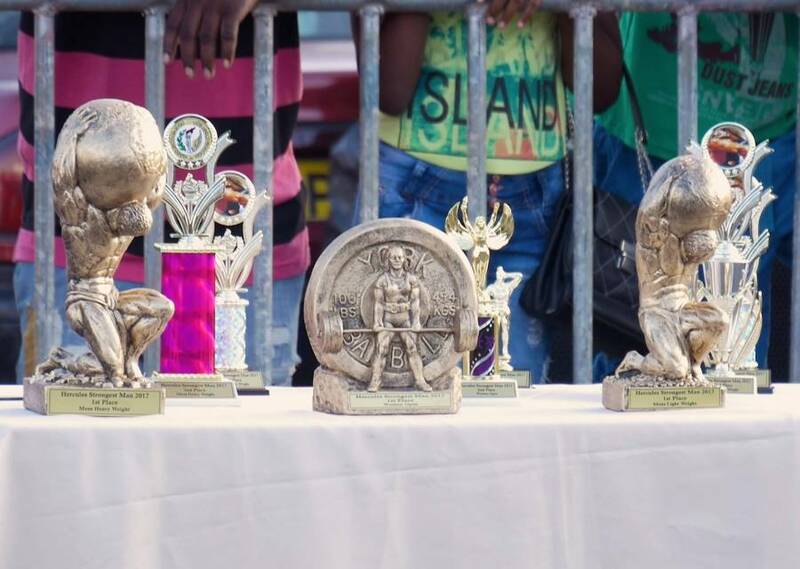 Saturday, 2 December 2017 some of Grenada’s strongest athletes from around the island all competed for the coveted title of Hercules Strongest Man 2017. This third and final competition of the Grenada Olympia, which consisted of a series of strength-testing activities, was once again dominated by members of Team Grizzly from the big parish of St Andrew. This competition consisted of a series of events including Deadlifts, Squats, Loading race with 100 lb sandbags, Yoke Walk, Farmers Walk and Truck Pull. Taking first place in the heavyweight category was Kenson Rennie, who was followed by Leader of Team Grizzly, Marcus Alexander. Third place went to Calvin Romain of the Silver Back Gorillas from Fit for Life Health Club. Lightweight champion for the evening was Travis Modeste also of Team Grizzly, while William Augustine of Fit for Life Health Club took second place. He was followed by Leon Felix of Team Grizzly. In a short interview with Marcus Alexander after the competition, he stated that although preparation for the events were indeed ‘tedious’ and the time was short, they were able to overcome many obstacles, especially with the help of their coach Mc Elvin Pope. He also thanked their sponsors and all those who assisted and cheered them on. Additionally, Alexander noted that “Grenada has a lot to expect from Team Grizzly,” in the near future. He assured that they will continue to do their best and encourage other persons, including ladies, to take a keen interest in the sport. Also taking part in the competition were Tennisha Roisman, Brooke Mosher and Nikita Henry, who placed first, second and third, respectively. Cecil Mitchell, organiser of the Grenada Olympia events, indicated that he was indeed pleased with the outcome and performances of all the athletes who took part this year. He stated that the interest is definitely growing. Mitchell commended 25-year-old Travis Modeste who took part and placed in the top 3 in all 3 Olympia Events: Ultimate Warriors, Night of the Legendz, and Hercules Strongest Man. Modeste will be given a special token from the Olympia committee.